1. Stainless steel structures, horizontal opening container, cleaning are very convenient. 2. Servo motor, servo drive control auger and servo controls working turn-table ensure stable performance. 4. with a suitable hand wheel for the adjustment of height. 5. Pneumatic can supporting device ensures that material won’t be spilt out. 7. Up to 10 recipes can be stored and parameters are adjustable. 8. Replacing auger accessories to meet different size powdery products. 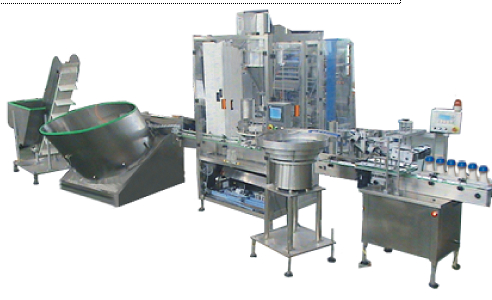 Application︰ This series can integrate the functions of can feeding, can holding, metering, filling, weight checking and other jobs. It can be considered as auxiliary filling equipment in production line suitable for eye shadow powder, flash powder, pepper powder, chili powder, milk powder, rice powder. Protein powder, soy milk powder, chicken powder, coffee powder, medicine powder, additives, flavors, etc.